It is not often that I arrive at the end of a lengthy novel from the Victorian era regretting that I have come to its conclusion all too soon. North and South by Elizabeth Gaskell is such a book. First published in 1855, North and South encompasses many themes and introduces the reader to a host of truly memorable characters. As so often seems to be the case with me, I suspect some of my enjoyment of the story came from knowing so little about it and having few expectations. In keeping with this I will not give too much of the story away here. The North and South of the title refers to the north and south of England where culture, lifestyle, occupations and expectations were very different during the nineteenth century and I suspect, remain somewhat different to this day. Our heroine Margaret Hale and her family are forced to move from the relatively genteel setting of a village in the south of England to a smog filled city in the industrialised north. There is of course a "will they or won't they" love story at the heart of this novel. I was struck while reading North and South that it reads a bit like a Charles Dickens version of Pride and Prejudice. I know you might think me mad for making such a comparison, but to my mind Gaskell out does both Austen and Dickens with North and South because while there are swoons a plenty and romantic intrigue, this is at its core a novel that makes a strong social statement about class struggle. For mine, it really has all one could wish for. Margaret Hale as a character is direct, adaptable, compassionate and not prone to over analyzing her feelings and motives, which I think certainly helps keeps the pace of the novel swift. We come to know Margaret very much through her actions and conversations. Margaret who grew up in a quiet country village and spent some years living with her wealthy cousin in London is flung into a world of dirt and hardship. She is forced to grow up very quickly. Part of the real enjoyment of the novel comes from following her bumpy journey to understanding and independence. There are a multitude of well drawn characters in this novel. Gaskell's writing does remind me of Dickens in terms of the characters. 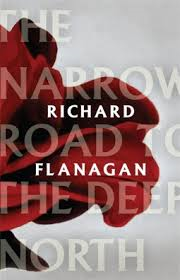 The story is bursting with a wide variety of characters, that deliberately encompass a full sweep of society. Gaskell's expert use of dialogue brings this large host of characters to life. The story is interesting. The theme of industrial unrest and the differences and conflicts between business owners and workers eerily resonates with our modern world some 150 since this book was written. I also loved how the relationship between parents and adult children is highlighted and explored. Nearly all of the characters can be clustered into family groupings where the relationship between parents and their children form a central part of the fabric of the story. Very memorable to this end is Mrs Thornton, our hero's stern faced and indomitable mother, whose opinion of Miss Margaret Hale, and anyone haling from the south, is far from welcoming. 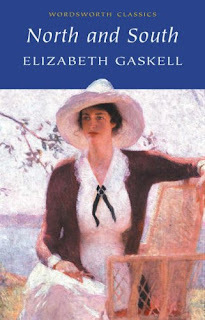 North and South is the first of Elizabeth Gaskell's novels I have read, and I look forward to reading more of her work. I thoroughly enjoyed spending time with these characters who are at times proud, warm, dramatic, funny but most of all very human. All in all a very engaging and enjoyable story. I loved this book - especially the relationship between the parents and children. I think Gaskell is really good at showing those little parts of normal, every day life that you don't always see. I loved the scene where Mr Hale is using Margaret's fingers as sugar tongs. I read this after falling in love with the BBC adaptation of the book which starred Richard Armitage! Have you watched the mini series? It is a bit different to the book, but I think it kept true to the spirit of the book, and as much as I enjoyed the closing scene of the book, the final scene in the mini series is one of my favourite movie/TV moment ever. I am glad to have read this review. Elizabeth Gaskell is an author that has always intrigued me. I hear about her all the time, but have never ventured to read anything that she has read. I am so glad that you liked this novel, Mel! It is truly a beautiful, and socially important novel. I thoroughly recommend the relatively recent BBC film adaptation too, it is marvelously well done, and quite faithful to the book. I would also encourage you to read Gaskell's "Cranford," and "Wives and Daughters." Both of which are wonderful. Charlotte Bronte wrote a novel, "Shirley," that is is perhaps a bit darker version of "North and South," but is equally powerful. Fiona - I agree there is something special about how she highlights the little day to day things and shows relationships through these. Sean and Becky - I highly recommend this one. It is delightful and not difficult to read at all. Again a bit like how I find Dickens ie it takes about 30 - 50 pages to adjust to the language and flow, but after that it becomes quite the page turner. Chris - thanks for your kind words and recommendations. I would definitely like to read another Gaskell novel before too much time passes, so will take note of these and the Charlotte Bronte novel. I Also read somewhere that Gaskell wrote a biography of Charlotte Bronte, which would no doubt make for interesting reading too. This is so pathetic on my part but I would have assumed it was a book about the U.S. Civil War! Jenners - not pathetic there is a book with the same title by someone else about the civil war.